The Last Post will last no longer. According to RadioTimes, the BBC has cancelled the TV show after only one season. The UK drama, which aired on Amazon in the U.S., revolves around the officers of a Royal Military Police unit and their families in 1960s Yemen. The cast includes Ben Miles, Jeremy Neumark Jones, Stephen Campbell Moore, Jessie Buckley, Amanda Drew, Jessica Raine, Essie Davis, Tom Glynn-Carney, and Louis Greatorex. What do you think? Have you seen The Last Post? Are you sad it won’t continue? 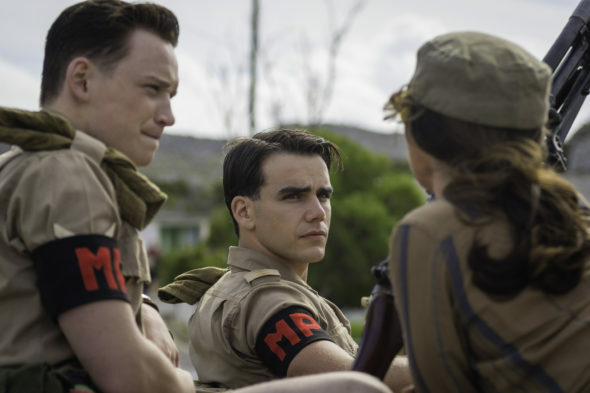 More about: Amazon TV shows: canceled or renewed?, BBC TV shows: canceled or renewed?, The Last Post, The Last Post: canceled or renewed? Was so so disappointed that the last post was cancelled. It left us hanging. Bring it back please!! Acting was very good also. l am sad that the Last Post is not being shown any more. It was a great show and l couldn’t wait for the next week showing. l really wish they bring it back on the air. Great shame if it is cancelled ! I’m done with BBC series. The Last Post was superb. Everything about it, the story line, the writing, the actors, the character development. I hope it’s picked up by another company. But for now…I done with any series witha BBC label. SUCKERS! BBC always does this… they make amazing shows only to cancel them after one or two seasons. It’s SO FRUSTRATING! Meanwhile Hollywood keeps churning out season after season of garbage shows!